Where else can you find the Hulk Jump, the Batman Lunge and more crazy exercises that will shed stubborn belly fat and chisel ripped muscle? Inside this unique metabolic finishers program, you’ll discover NEW exercises and burn more fat in less time without ANY cardio. It’s one of the most unique finisher program I’ve ever put together. 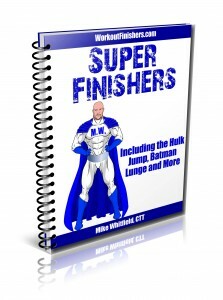 This program’s finishers are dedicated to the Superheros. Inside this fat-torching finisher program, you’ll discover these finishers and more – the Goblet’s Lair, Batman Swings and Spiderman’s Revenge. Good times…. No, SUPER times. These unique finishers include my latest creations of exercises and finishers and will put a bang at the end of any of your workouts. They are … super. You’ll get a perfect blend of finishers including the Gauntlet style which my clients have fallen in love with, density finishers and more. P.S. There is NO RISK at all for you to try this Metabolic Finisher program. 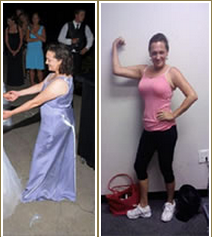 If you are not thrilled with Super Finishers in 60 days, let us know and we’ll refund every penny. Your satisfaction is 100% guaranteed. My workout programs have already been seen on Men’s Health, Turbulence Training and used by thousands of men and women, and I guarantee it will work for you, too.